Come and hook with us! You may park behind the building (free) and use the rear entrance. We are in the Library Room on the upper level - and there IS an elevator! 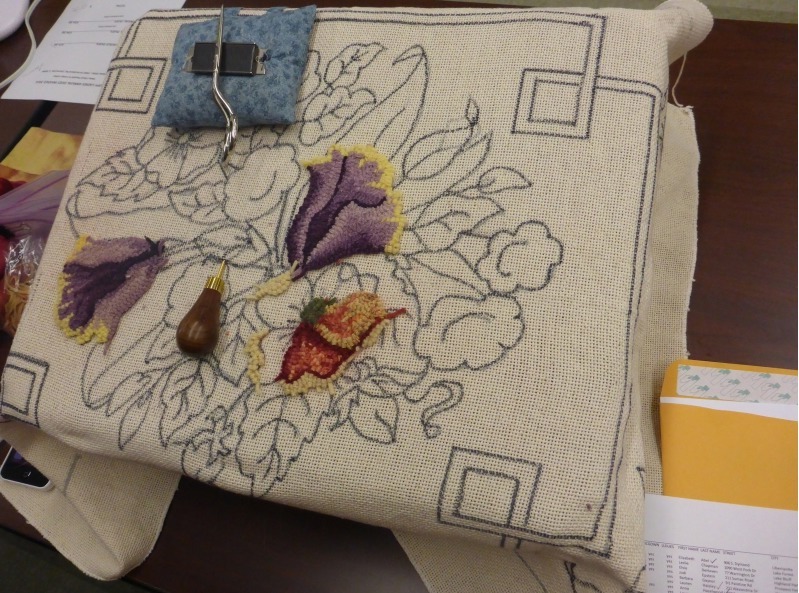 Learn the basics of drawing as it relates to rug hooking through step-by-step demonstrations and presentation by Jane M. Mason, a professional artist who has taught drawing, painting and mixed media for over 25 years. This is a two-day workshop. You may attend either or both days. Cost is $40/day per person, or $75 if you register for both days. Please contact Jane Mason for more information and to register for this special workshop. Bring whatever projects you're working on! We'll get together once a month to sit and hook. Open to all Loopy Ladies members. Get details at our next regular monthly meeting.